Sekhet Bast Ra Oasis is the local body of Ordo Templi Orientis in the valley of Oklahoma City. Our fraternity is dedicated to empowering both initiates and non-initiates to seek out and do their True Will according to the law of Thelema. We seek to be a bastion of Life, Light, Love, and Liberty. 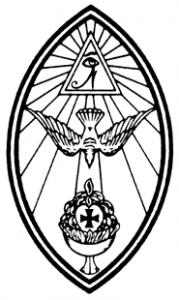 We offer initiations into Ordo Templi Orientis along with regular public and private performances of the Gnostic Mass. Members of the public are also invited to take advantage of our public events and classes. In 1904, Aleister Crowley announced the arrival of the New Aeon, the next age for humanity. Two world Wars, the atomic bomb, the powerful connectivity of internet, and the explosion of the human population all bear out that the world has changed dramatically and irreversibly. This means new challenges in the life of every man and woman in their quest for knowledge. Our initiations and our classes provide magical and spiritual tools to deal with these changes in a constructive and self-directed way.